I shop at thrift stores and Target. I haven’t had a paycheck in 2 months. My momma taught me never to pay full price. Have you gone insane recently too? What did you buy despite the economy? If you’ve been reading my blog, then you know that Jonathan and I have been struggling to find our balance of grocery spending since moving in together. Well folks, I think we may have found it! For starters, we went back to my original goals of coupon cutting, meal planning, and organizing. Then we looked closely at deals at the store and realized that some of our coupons were still not as cheap as the store brands, but some of our coupons were able to be used in conjunction with store deals. Woohoo! What are your favorite snacks to get at the grocery store? Do you challenge yourself to save each week? So…a week after my promises to do better at grocery spending, I DID! The greatest part about the whole experience is that we had no coupons, no list, and spent less than 40 minutes shopping…SAY WHA?!? I know. I have no idea how that worked out. -Cooked up our food from last week in big batches and froze it, which allowed us to focus on fresh produce this week instead of staples. -Looked for steals in the back corner where they keep the cheapo items. Find this place in your grocery store! -Really really looked at the sale items and what was in season. For some reason red peppers were 79 cents this week and green pepper was $1.29. Guess which one is going on our fajitas? Whew! I feel like I’ve accomplished something. Let’s hope we can keep this momentum up for next week. Living with a significant other has drastically changed my grocery habits, and not for the better. We spend soooo much money on food! I mean, really! What. the. hell. We have been shopping like money is raining down on us…approximately 130 bucks a week! Yikes! I simply cannot use enough exclamation points to establish the ridiculousness of this situation! So I am bringing back my personal grocery challenge. The new goal is to spend less than 60 bucks a week on groceries. That means some drastic changes need to happen around here. But it’s doable, right? This week’s shopping came to $97 bucks. 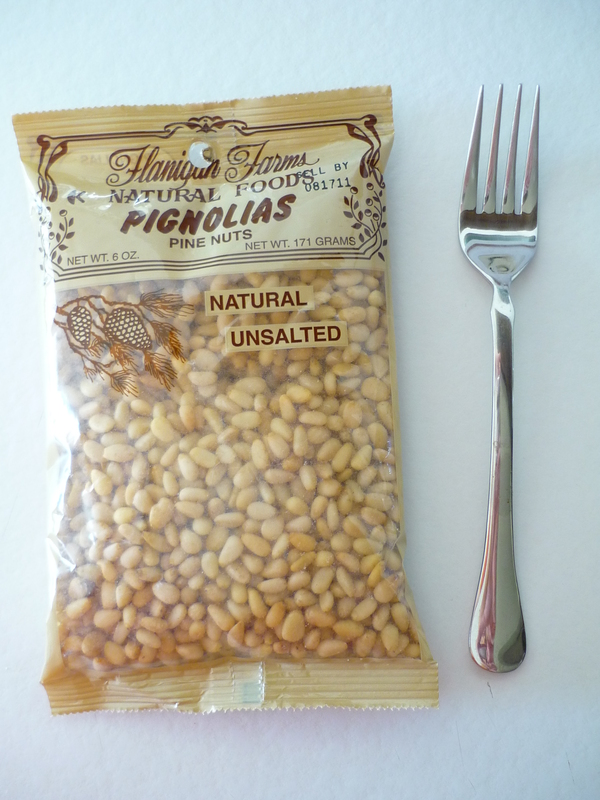 A tiny bag of pine nuts was $20! So, this day marks the first day on a long journey of grocery savings. I cut coupons before every big trip, but I always wind up using only 2 or 3 at a time. What is your secret to using up coupons? Any great coupon sites I need to visit? I don’t know why I felt compelled to write this. Probably because in the past month I have gotten overly pissed at failed rice. My next investment is indeed a rice cooker, which you can get at Target for super cheap!